This is such an exciting place to be. Besides the seminaries, this is largely where the future of the Catholic Church in America is. 400+ missionaries zealous for sharing the Gospel of Jesus Christ on college campuses around the country. Every year there are more missionaries and campuses, it’s so cool to see God blessing this apostolate. 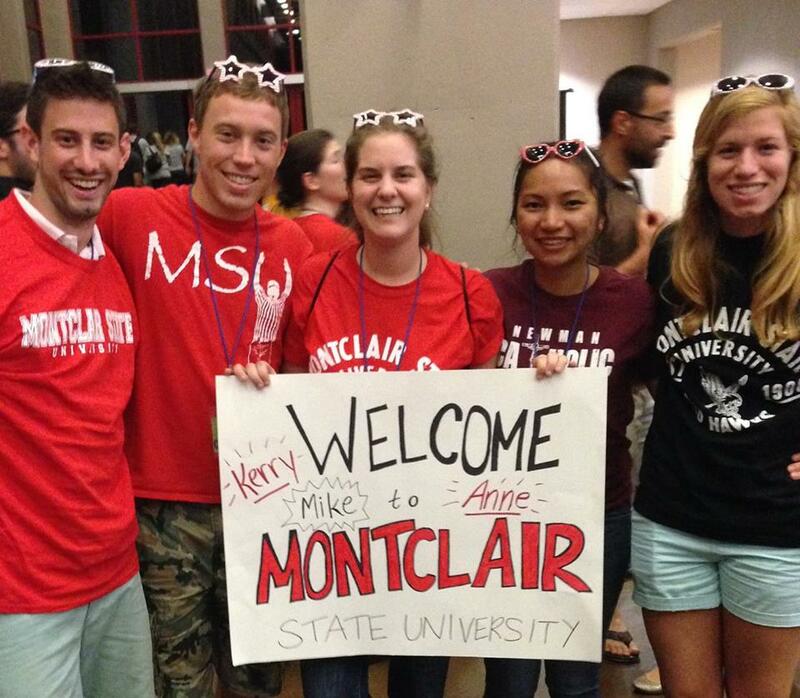 I already knew that I was returning to Montclair State University in New Jersey next year, but now I have some teammates! Here’s a pic of us (Mike, yours truly, Kristin, Anne, and Kerry), they’re awesome! This time in the summer is a great time to process all that happened over the school year so that I can learn from my experiences. I’ve been trying to talk with other veteran missionaries to learn best practices and those have been some fascinating conversations. I’m off to a silent Ignatian retreat this weekend. I went on one last year as well, it was so cool to experience that silence. On the other hand, Ignatian prayer was tricky for me, so I’m hoping and praying that I’m more faithful to that this time around. Easily one of my favorite things about training is sitting down at a table for a meal with all new people and getting to know them all and hearing how God’s worked in each of their lives to call them to the missionary life. Everyone is so unique and has such cool stories! Reforming the Church and the world happens one person at a time. We have to be faithful to God first in our own life before we can focus our evangelization efforts on others. The second half of the summer will be time for me to meet up with my mission partners who support me financially and spiritually. They truly are mission partners because I couldn’t get on campus and invest in the students without their help. Some give by going (missionaries), and others go by giving (mission partners). Both work together to bring forth the Kingdom of God, so thank you to all my mission partners out there! God bless, hope you’re having a great summer!